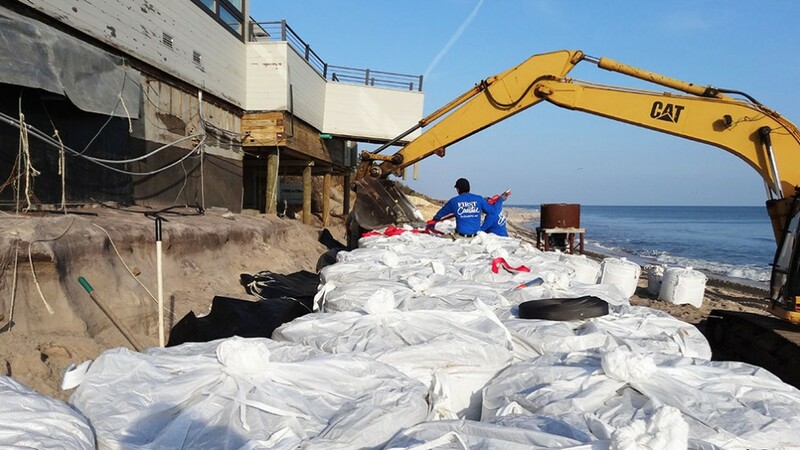 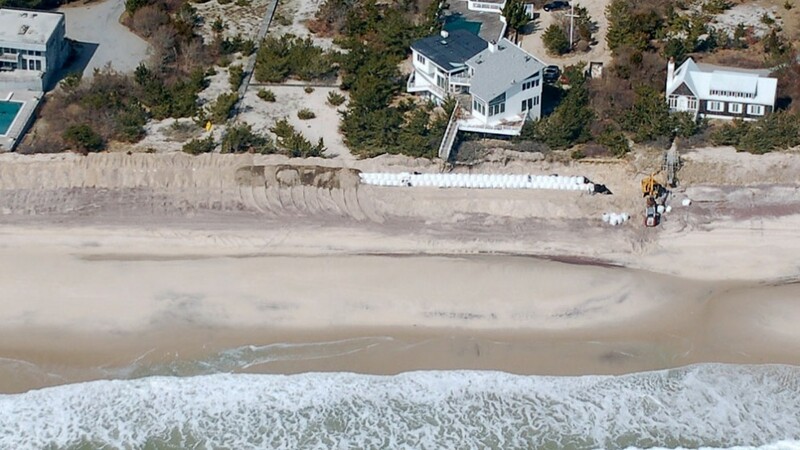 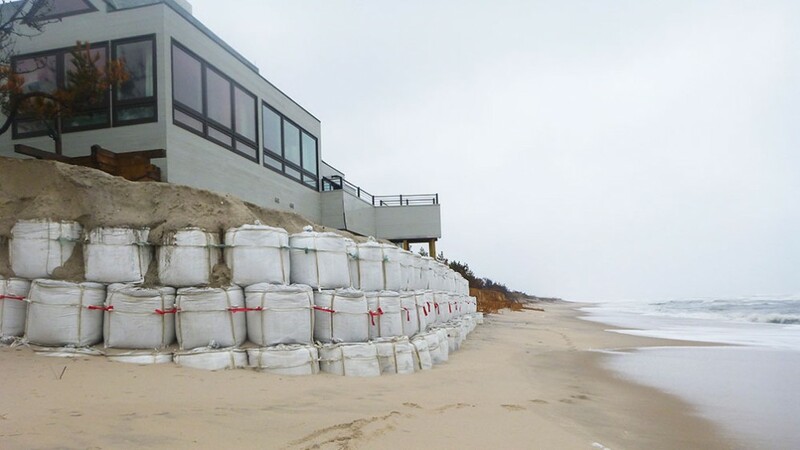 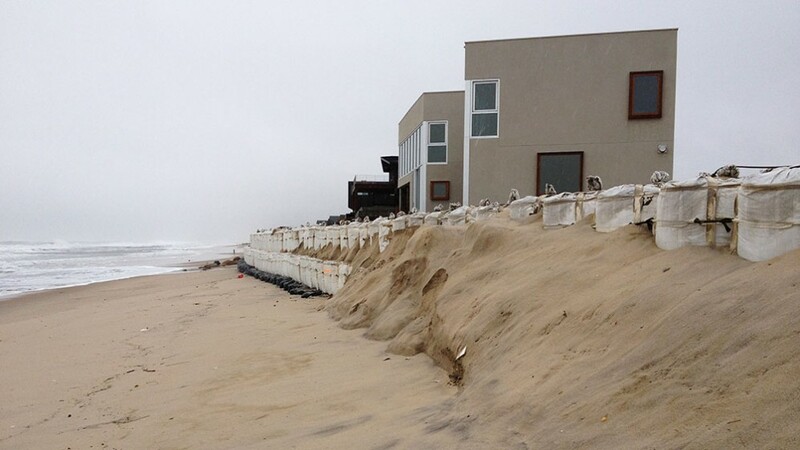 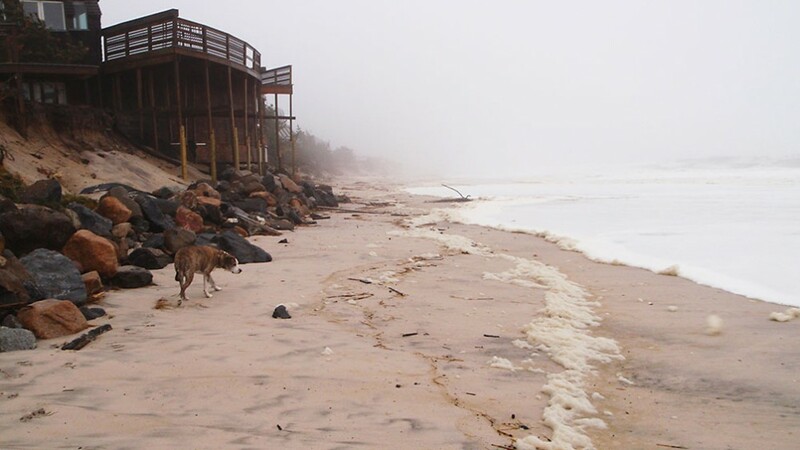 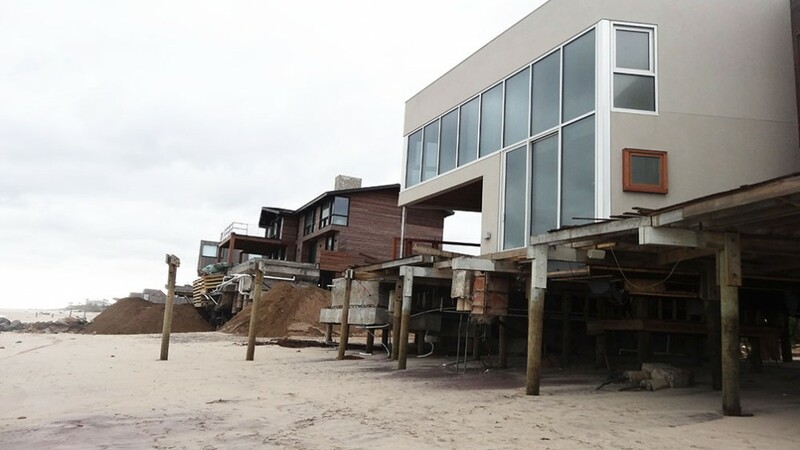 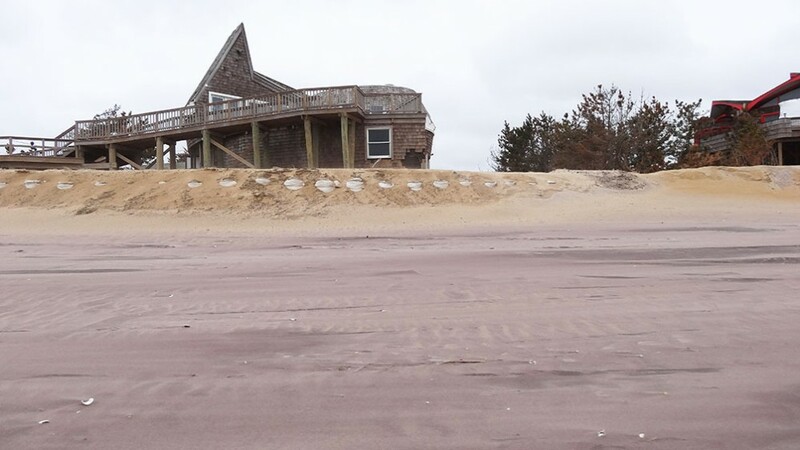 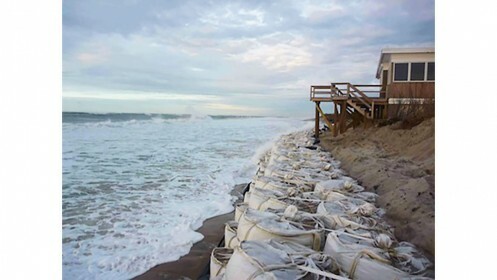 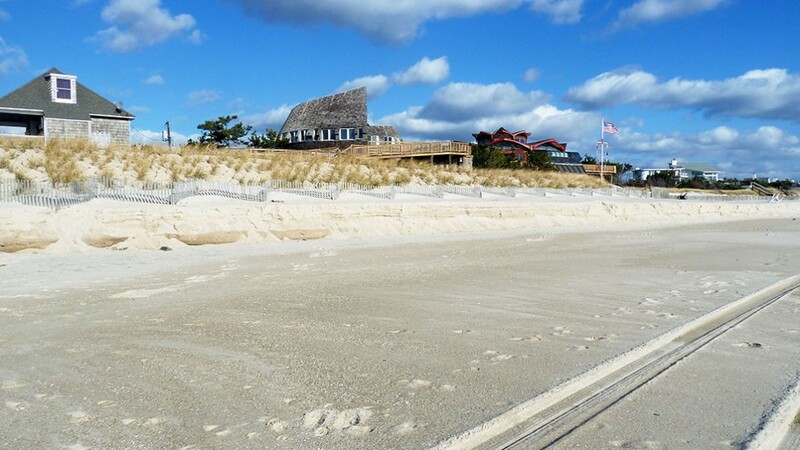 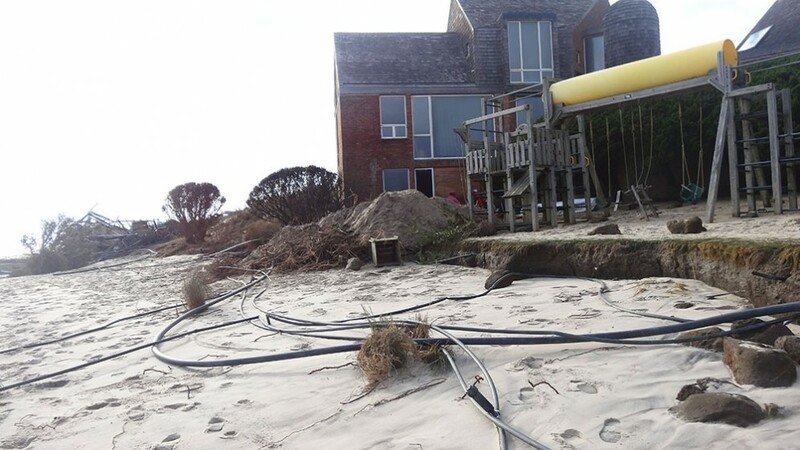 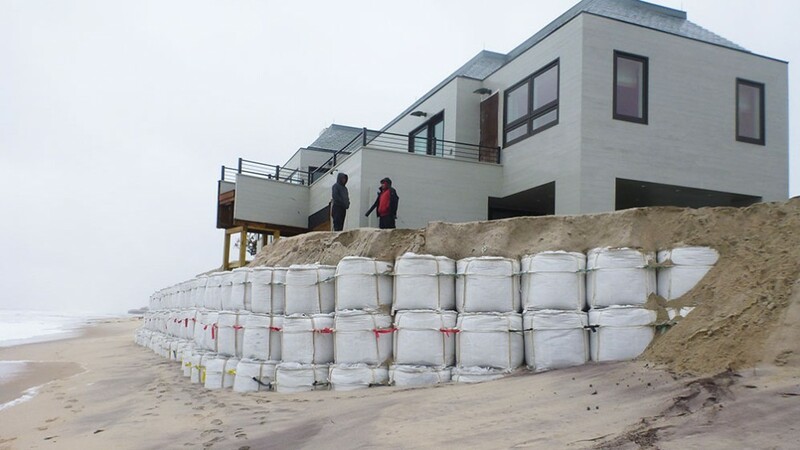 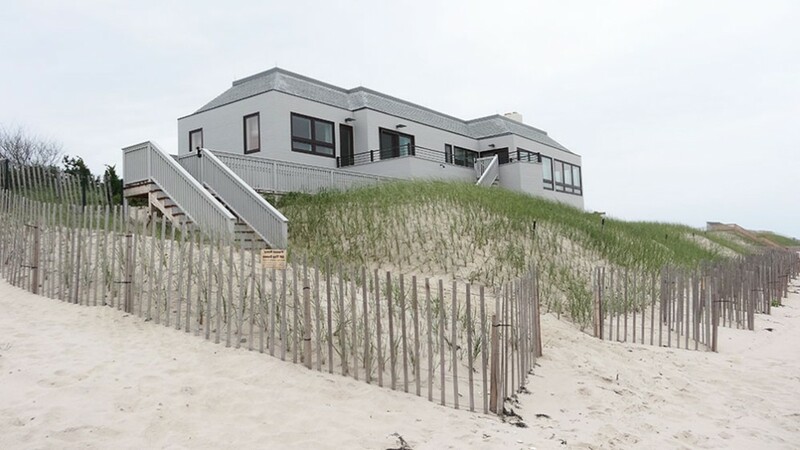 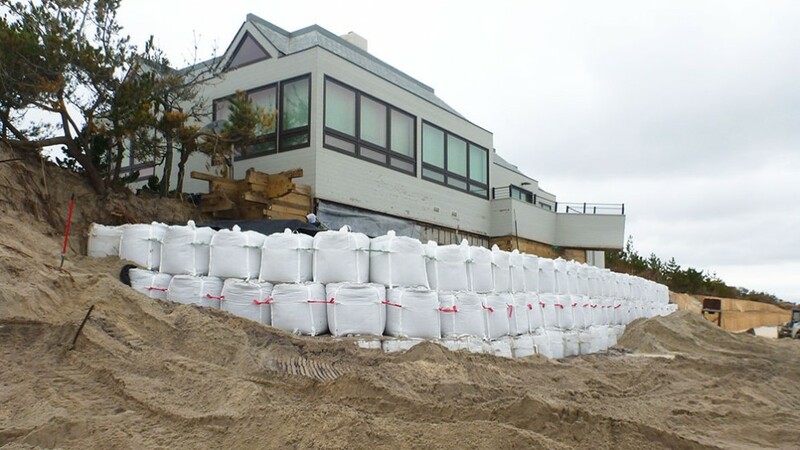 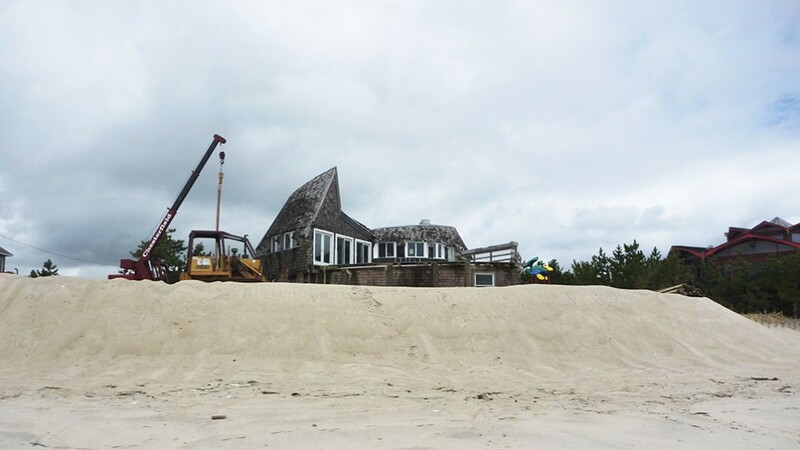 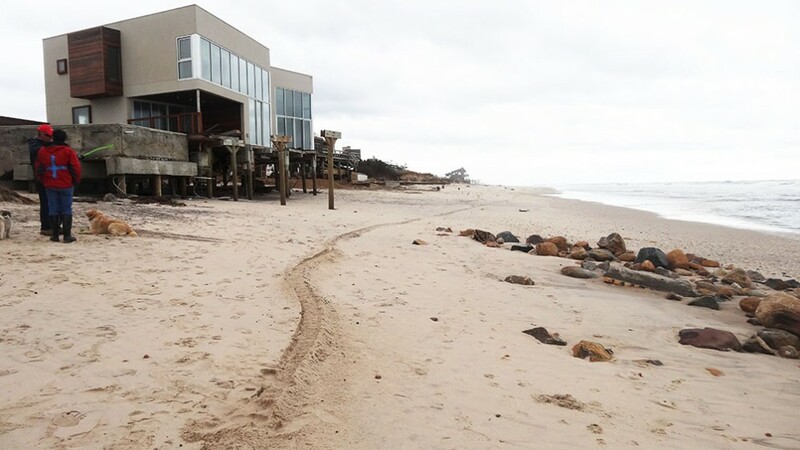 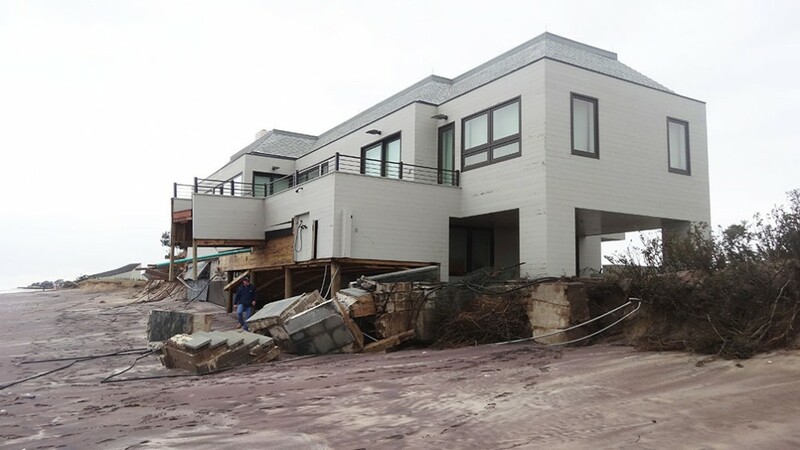 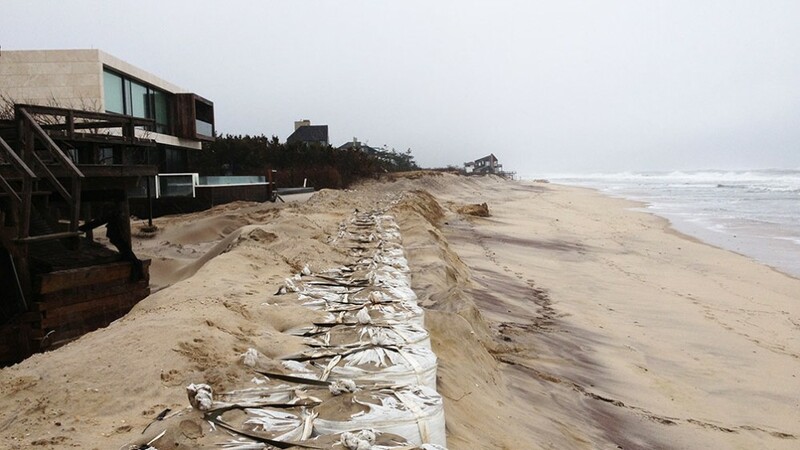 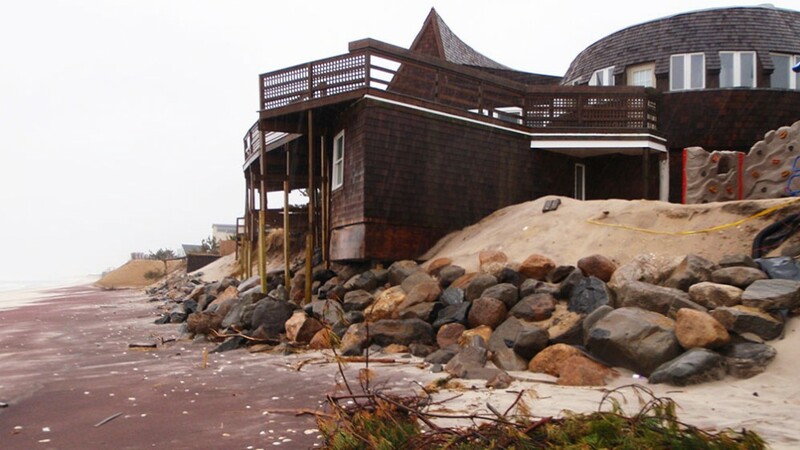 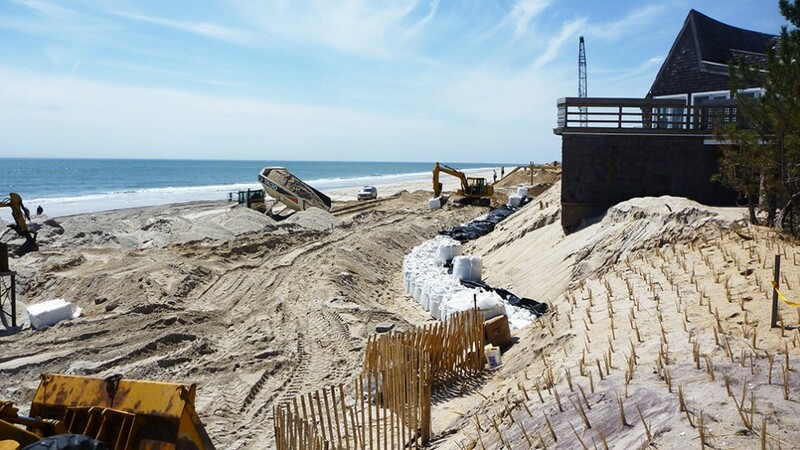 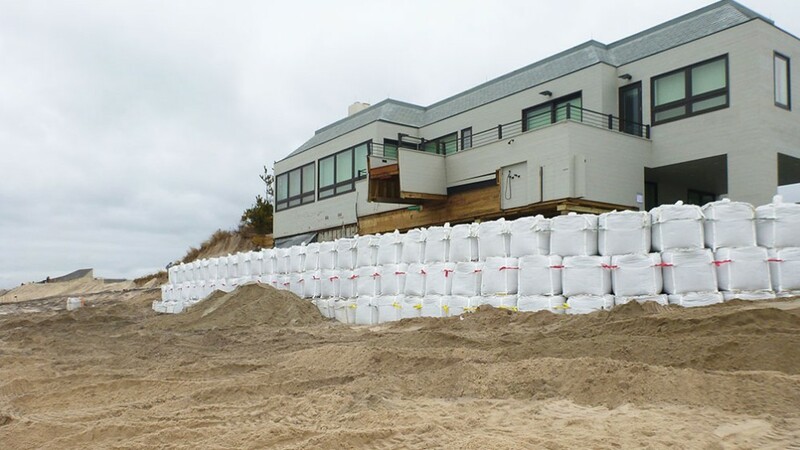 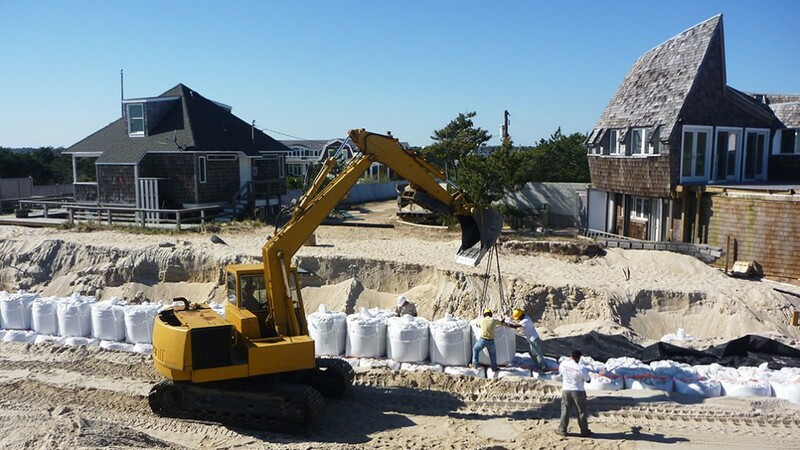 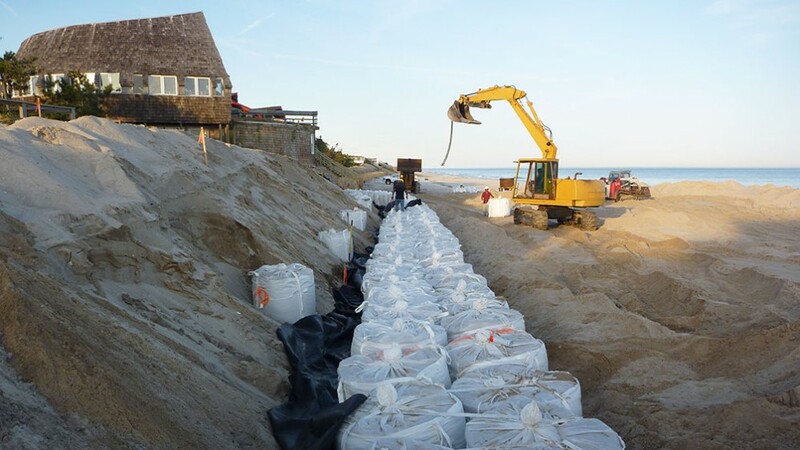 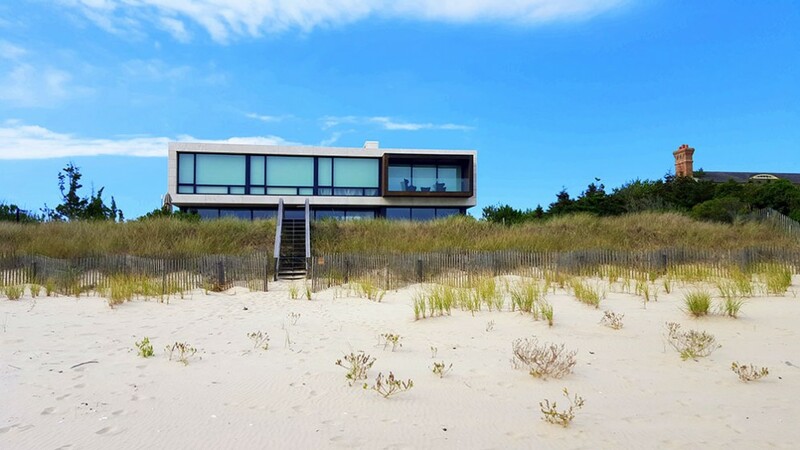 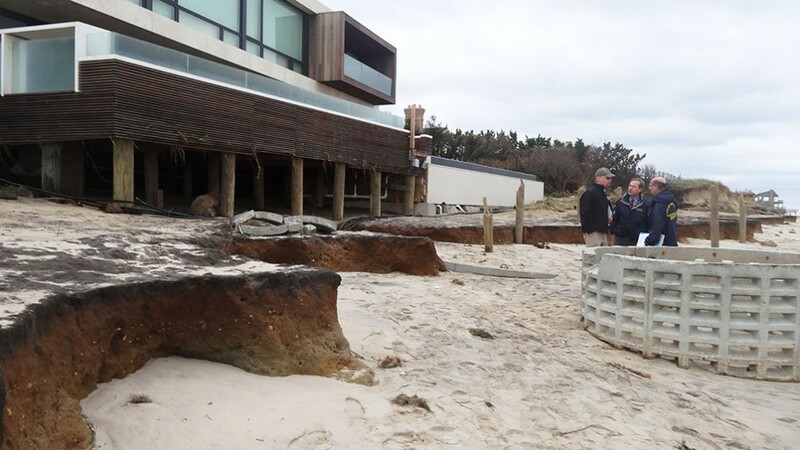 First Coastal designs, and constructs Sand Filled Geotextiles Structures and Restoration Projects as protection alternative for Long Island’s coastline. 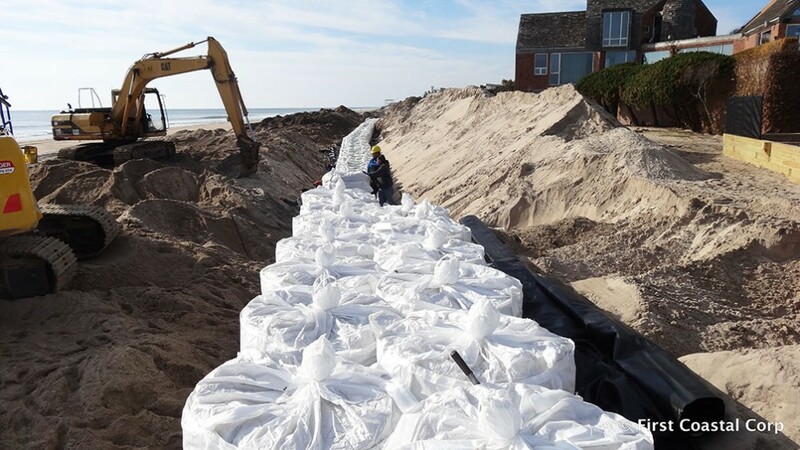 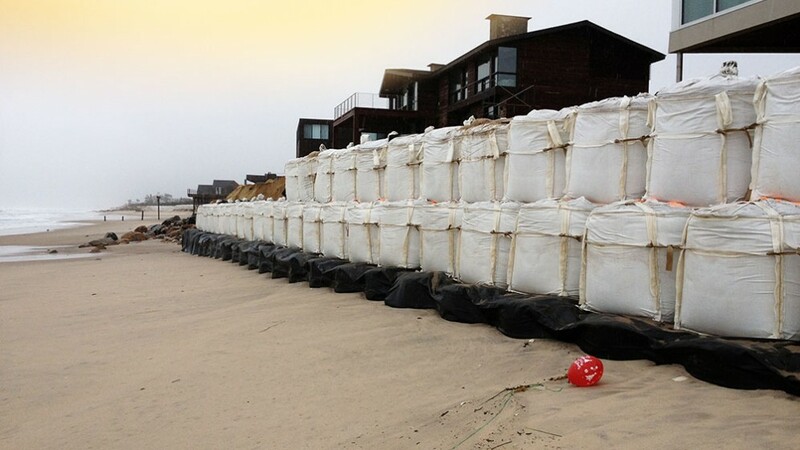 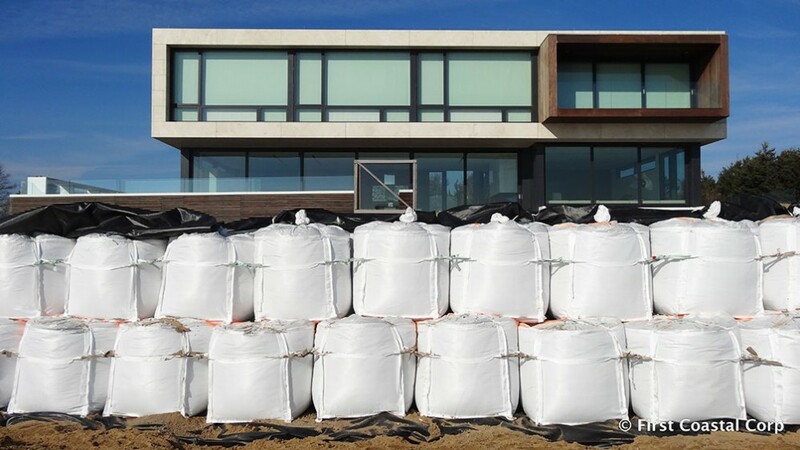 A sand filled geotextile structure consists of a series of polyethylene fabric bags or tubes that run the length of the shoreline. 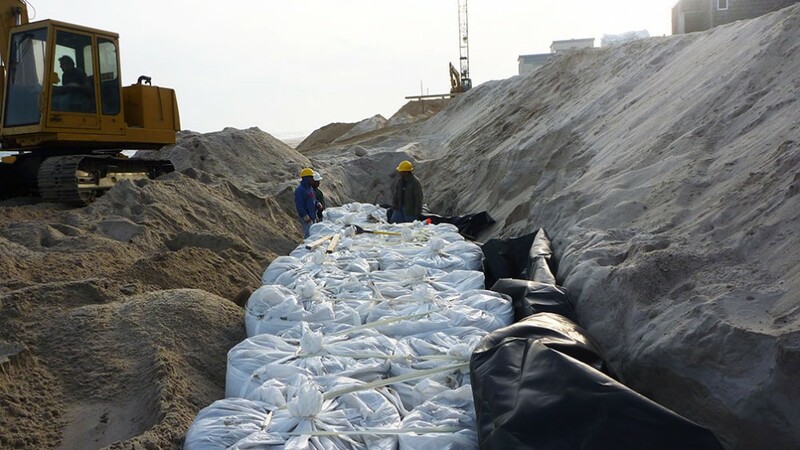 The tube or bag is filled with sand and placed on fabric bedding along the base of the eroded dune/bluff to deter undermining from moderate wave attack. 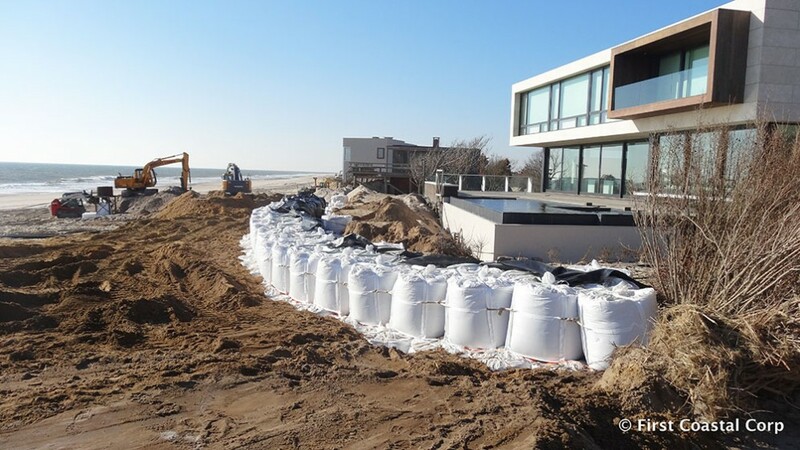 This structure is intended to provide protection that is slightly greater than a natural dune would provide. 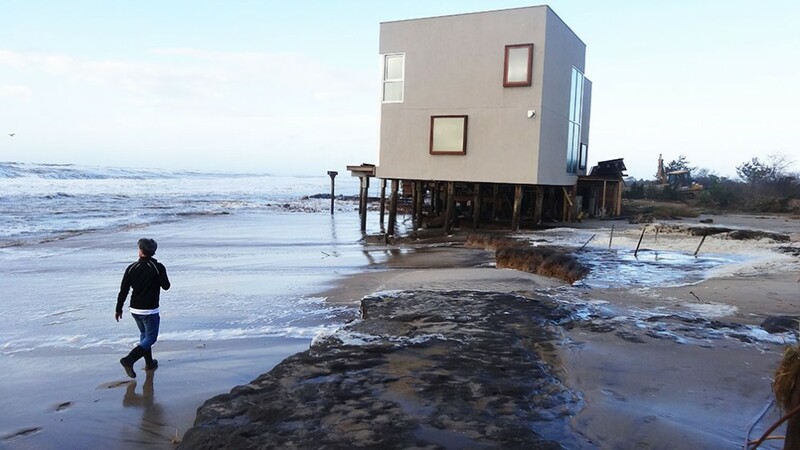 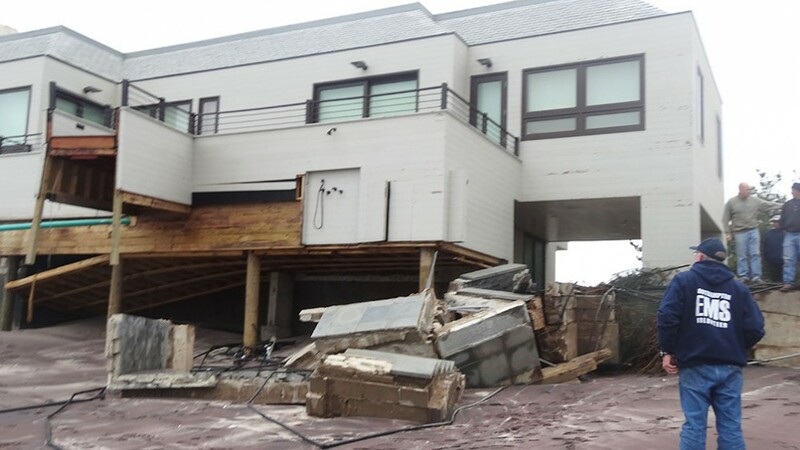 Because of its overall limited height, the structure may be subject to rolling, undermining and overtopping during severe wave attack, thus it’s not intended for protection during intense storms. 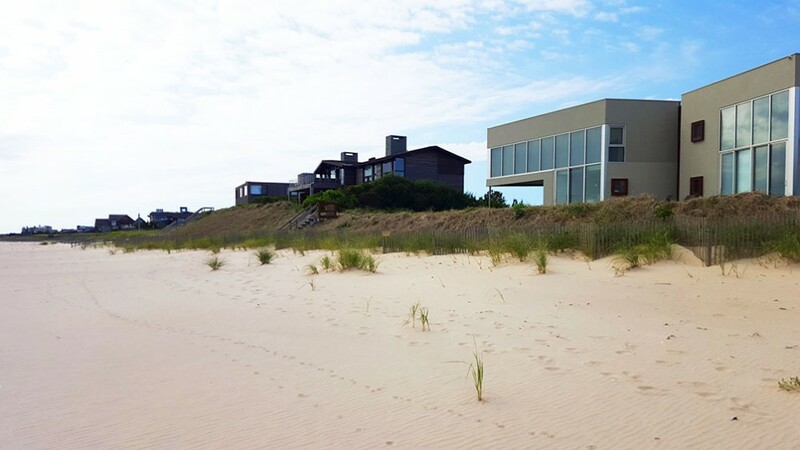 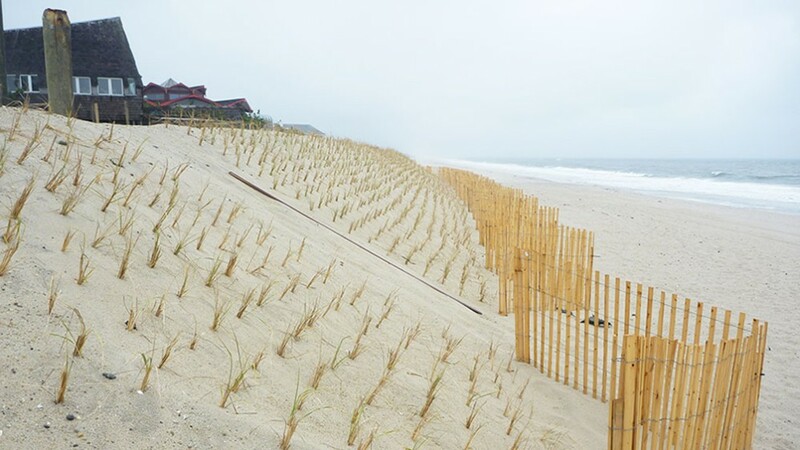 After Installation, the sand filled tube or tubes are covered with dune fill, then the new dune is planted with beach grass and sand fence is erected along the seaward base.